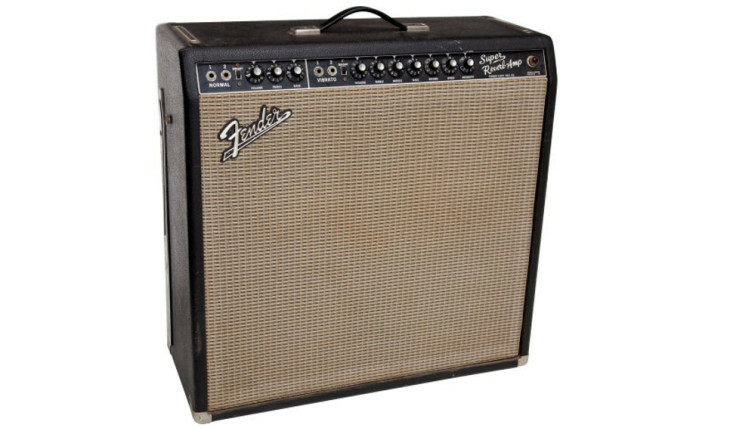 Problem/symptom: “Reverb sounds bad, amp loses power and makes crackling noises, blows a fuse now and then”. We plug in, play it, put it on the bench and look, check, sniff, and shake it around a little. We find some loose ground connections. We also find that one of the springs in the reverb pan is broken. Our standard procedure is to look over the entire amp and let you know if anything else needs addressing. In this case we have a fairly wide-ranging mismatch going on with the output tubes. 24 watts of plate dissipation (representing the higher of the pair) is within acceptable range for the 6L6GC output tubes, but the 13mA difference is less than ideal. There could be a problem at the “hot tube” socket – perhaps a leaky/failing component, or this is probably the tell of a failing power tube. The measured output power is also low. Putting in a new matched pair of 6L6’s cures the excess current draw on the one side and gives us about 8 more watts output so we are definitely going to recommend a new set of power tubes. See parts for more info on what we offer, our own matching process, etc. Did I mention this is a 1965 Super? Your filter caps are leaky, they are 50+ years old and should be replaced. Guess what, two of your pre-amp tubes are really noisy so we’re going let you know about that too. Thought you were done? Nope, one of your input jacks is sprung and needs replacing. The good news: your speakers are fine. Sound like a horror story? It’s not really. It is an older amp. A classic, and worth every ounce of effort and every dollar of expense to put into working order! A quick word on “silver” to “black” face differences: Some of the silvers are the same amp. Other silvers have minor changes, which are fairly easy to rework back to blackface spec. The changes alone are usually a small handful of parts and minimal time, however as a result of opening up stage impedances and removing hi freq filtering, they sometimes become unstable and will oscillate. This may require re-routing leads and/or using shielded cables for certain runs. Also worth mentioning is the master pull/boost volume (which barely boosts anything) on certain silver faces. We can make that work much better if you’d like. Having said that – many Silver face Fenders sound amazing as they are and don’t require messing with. It’s up to you of course.